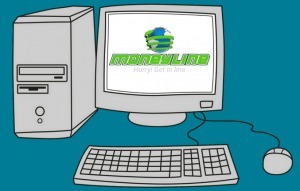 Global MoneyLine is an advertising site with MLM deals, allowing you to make money as you refer others and scale up your membership (subscription) level. It can become your powerful source of income - referral commission as well as sales income via your advertisements - if you use it right. "I'm not gonna go through all that." It's one of the typical phrases that considered bad and should never be used, I was told when I was training to be a teacher. For example there is a list of things written in a textbook and you say to your pupils "I'm not going through all that". It means you're selfishly assuming "it's all too obvious and too time-consuming to explain", expecting your pupils to work it out themselves. In all honesty, you just can't be bothered, just want to skip it all. And you can't even properly explain why you want to skip it... Your communication skill will be questionable there. The interface is one of the worst I've seen for years. Seriously outdated (return of <marquee>!) and far too slow. My broadband speed is 20Mbs and often takes up to 20 seconds to get to the next screen. It may be due to the user overload - we often talk about the correlation between site loading speed and visitor retention rates, but the MoneyLine's popularity says as if it's totally irrelevant. #2 Instructions Are Spectacularly "Blah"
"COMPOUND LEVERAGE" pays you Coding Bonuses to Unlimited Width and Unlimited Depth WorldWide! This is significant, because you don't need to mess with balancing acts, and monthly qualifications like most plans out there. Not to mention, you don't need a college education to try to figure out how you get paid like most other plans. What happened to SIMPLE in the Business World? With MoneyLine's "COMPOUND LEVERAGE" IT'S SIMPLE! and You can literally have tens, or hundreds of qualified paying commissions coming in DAILY from all over the World! ......It's basically saying the MoneyLine plan (a) can pay you a lot and (b) is very simple. The video instructions are as bad. The instructor keeps saying how awesome the system is, otherwise basically moves the cursor from one heading to another and calls them out. Unfortunately that's all he does - he tells you to watch another video to learn "how to", and in that video he does the same...just reads out the headings and tells you how awesome and easy things are. ...And he repeats this crucified phrase "I'm not gonna go through all that, because of the time". 16 out of 18 minutes in the video he tells you how great the system is and how you can connect with tens of thousands of people, but says there's no time for the actual tutorial... I feel frustrated, to be honest. ​"Your MoneyLine" means your "downline", everyone who's joined after you - not your referrals. Simply all the people who have joined after you joined. 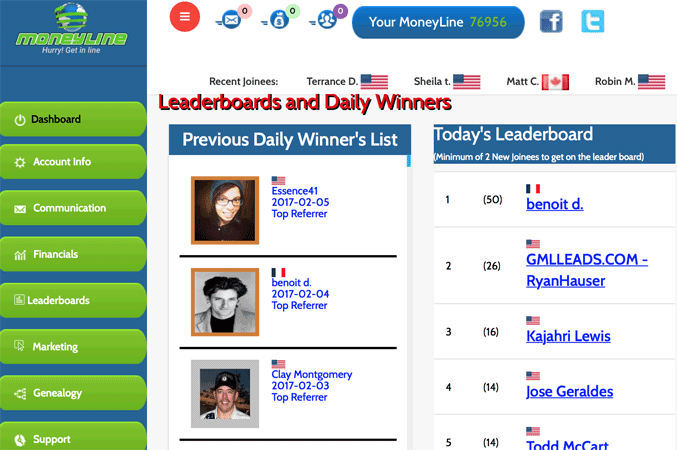 I joined in August 2016 and I have over 77,000 "MoneyLines". 77k people have joined since last August to date. And the number is forever growing. 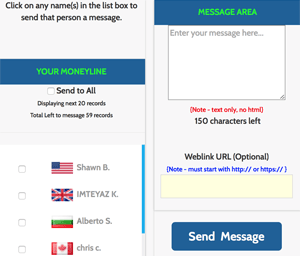 The instructor says Global MoneyLine is just like another social media, but better because there are so many members, and it allows you to send one message to each and every member... I suppose he's right in a way, because we're all there looking to make money online, not looking for a relationship, making political statements or any other. While you are a free member, you can only send one message to one member, one at a time. But it allows you to start sending bulk messages when you become a paid member. You can send bulk messages to your Downlines but not your Uplines (any members who joined before you). So this is an advertising platform within Global MoneyLine. How you actually make money from its 2-tier referral system is as follows. First you need to purchase a Bronze membership by paying one-time $20. Then you need to refer others and get 2 people to become Bronze before you can start earning. When your 3rd referral decides to become a Bronze member, that person will have to send $20 directly to your PayPal account. So the whole $20 will be yours as a referral commission. Your 4th, 5th and thereafter, any of your direct referrals should pay $20 Bronze subscription directly to you. All the money will be yours. Your direct referrer (the person above you, who referred you to join) will also receive 1/2 of it, i.e. $10. And each time, each of your direct referrals makes $20 commission, you being their referrer will receive $10. Pay $50 annually to become & retain your Silver membership - when your 3rd referral onwards become a Silver, you'll receive $50 and your direct referrer will receive $25. ​Pay $100 annually to become & retain your Gold membership - when your 3rd referral onwards become a Gold member, you'll receive $100 and your direct referrer will receive $50. Pay $250 annually to become & retain your Platinum membership - when your 3rd referral onwards become a Platinum member, you'll receive $250 and your direct referrer will receive $125. Pay $500 annually to become & retain your Diamond membership - when your 3rd referral onwards become a Diamond member, you'll receive $500 and your direct referrer will receive $250. There are extra areas of access in terms of advertisements, Silver Access if you become a Silver member, then Gold Access and so on. Your ads will be more & more exposed as you upgrade your subscription package. Hence greater potential to make sales from whatever you're promoting in your ads. But the leading income source will be the commissions for referring others to Global MoneyLine and get them to become a paid member. Join free and see how you feel - see what you think of the website and the instructions... Be patient!